I felt that I needed to brand my consultancy services in association management, and I have chosen the name “Step2to…” to reflect the fact that potential clients, most probably, would have already tried another solution to the issue(s) they are facing, before requesting the support of a consultant; this request being therefore their second step towards finding appropriate solutions. As my natural market focus is on Brussels, the European hub for international associations, I took on the colours of the “Brussel Capital Region”. I have never met a recruitment company acting in Belgium that understands what our associations are about. , They often confuse us with charities, and either they are not interested in a market that they consider not to be profitable enough, or they apply their traditional processes with poor results in comparison with our real needs. Step2to…is 100% specialised in not for profit associations. Michel Ballieu has been active in top management positions in the world of associations for 18 years, and understands perfectly the types of talents required for them. Step2to… will conduct the search and selection of the right professionals faster than any other outsourced possibility. Step2to… will conduct the search and the selection of the right professionals at a lower cost than any other outsourced possibility. Michel studied economics at Brussels University, and holds a postgraduate degree in Management from the Solvay Business School. He gained his first professional experience, mainly within Xerox and BASF, by coaching and managing sales teams, including several years of marketing management at multinational level throughout the European Union. 20 years ago he entered the not-for-profit world by managing the six European Offices of the ‘Up with People’ student exchange programme. Later he acted as the European Executive Director for several US-based professional associations, on behalf of MCI, while running its Association Management Department. He joined ECCO – the European CanCer Organisation as Chief Executive Officer in 2006, overseeing a team of 25 professionals. He retired in 2016, and started the Step2to… activities. 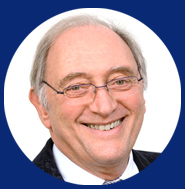 As a volunteer he has served six years as a Board member of the European Cervical Cancer Association (ECCA), eight years as a Board member of ecancermedicalscience Foundation (ecms), and four years first as Board member and then as President of the Associations’ Conferences Forum (AC Forum). He is currently a member of ESAE and of its Education Committee, a member FAIB, an active member of UIA, and a member of the Advisory Committee for the European Association Summit in Brussels, he is an advisor to, and speaker at, the Solvay Business School for its Masters in International Association Management. He is regularly invited as a speaker to conferences targeting non-for-profit associations, and to events organised by the European Federation of Pharmaceutical Industries and Associations (EFPIA) and by MedTech Europe. Within Step2to… I am specialised in employee recruitment for the Belgian and International not-for-profit association sector. I can provide a quick, effective, and reasonably-priced service founded on the lessons I have learned during my 18 years’ experience in association management, and on the understanding gained through the recruitment of the 100 staff who I have employed during my 45-year professional career. I am able to offer two types of service, which can be undertaken either together or separately. The second of these gives you the choice of four options, each one leading more and more to researching a closely-defined, best candidate for the position you are seeking to fill. When a new position is created sometimes association leaders have difficulties in defining the right profile for the post, and very often managers have unrealistic expectations and over-ambitious job descriptions. Where required, I can help you to define realistic profiles taking into account your financial resources, and draft an appropriate job description jointly with you. one face to face meeting with you and/or with the direct manager to which the new employee will report, in order that I may understand your needs and to discuss the ‘must haves’ and the ‘wish to have’. Brussels is very attractive for many citizens from Europe and beyond, being the seat of the EU institutions and a real hub for associations. It is not rare to receive 200 or more applications for one post; my personal record has been 450 for a middle management position. Each of these candidates deserves serious attention and fair and rapid treatment. That is why each one will receive a personalised email response in reasonable time. This is a question of ethics and of respect for the candidate, but it is also important for the image of your association as being serious and credible. There are several possibilities to outsource more of the burden of conducting the search for the best candidate. I can offer you four options, from the lowest level of involvement, up to the full service including possible assistance for the very final step in the process of hiring the right candidate. In any event, whatever the option you choose, my service will cost you less than 50% of what a commercial recruitment company would charge you. We agree together the right publicity channels for your research and I write and place the advertisement. The candidates will reply to a Step2to email address in your name, and I will receive and sift all replies. I will provide you with all the CV’s received that I have not rejected on the grounds that they do not meet your criteria or the job description. This is a first approach based solely on the content of the letters and CV’s received. All candidates eliminated at this stage will receive an appropriately-worded email in your name within ten working days. During the search process I will keep you regularly informed of progress and of any problems. In the case of problems we will discuss any possible changes. My service stops there and you will take over the interviews, the final selection, and the salary negotiation. I will conduct telephone interviews with all the candidates that I have not previously rejected at the economy stage. This will allow me to check on candidates’ motivation and to have a good understanding of their experience, thereby retaining those who express themselves clearly and show initiative, and also to look into practical questions such as geographical distance, the possibility of moving home if necessary, and other issues such as salary expectations. Based on this, I will be able to give you a pared-down list of the candidates who merit being met face to face. On average, this list will contain between 12 and 20 candidates. My service stops there and you will take over all face to face interviews, the final selection, and the salary negotiation. Includes the “economy” and “intermediate” options. You request me to carry out face to face interviews with all the pre-selected candidates. It will be depth interviews closely based on your criteria and job description. All candidates invited will undertake a 20-minute practical written test during the interview. The test will be directly related to the function to be undertaken and we will have agreed its content in advance. I will provide you with a short list of three, a maximum of four or, more rarely, only two candidates. The results of their tests will also be given to you. All candidates eliminated after the first face to face interview will receive an appropriately-worded email in your name within ten working days. My service stops there and you will take over the second interviews of the short-listed candidates, the final selection, and the salary negotiation. Includes the “economy”, “intermediate” and “full service” options. You ask me to accompany you to the end of the process, and that I take part, with you, in the second or even possible third interviews, and help you with the evaluation of the last remaining candidates and in the final negotiation. Often at this stage it is the less objective criteria that make the difference between the candidates, such as a feeling of being on the same wavelength, or the capacity of the person to fit into the existing team. These are, of course, your personal criteria, but I can help you understand and evaluate how the candidates fit without intervening in the final decision, which always belongs to you personally. I will contact the candidates who have not been chosen by telephone within two working days. I will tell them of your decision and answer any questions they may have, which are frequently about how to improve their performance at interview. My service stops there and you tell the selected candidate the good news and discuss how to proceed with him or her. These options are simply to give you an idea of the level of service available, but of course all levels may be tailored to meet your specific requirements. As with every consultant, during his employment at an association management company, Michel Ballieu worked for many different clients, professional associations, trade associations, and federations, representing different metiers: town planners and architects, engineers and project managers, insurance brokers, and in the medical field. Drawing on this wide experience, he can advise you on how best to solve issues; and provide a view from the outside in order to bring about changes for the better. Michel had been recommended to us when we were looking to recruit for three new positions, one director and two managers, at our new Global Office. His services were extremely valuable and helpful at a time we were going through a period of intense work and did not have time to deal ourselves with these recruitments. He completed this mission very successfully, and it has also been a pleasure working with him. 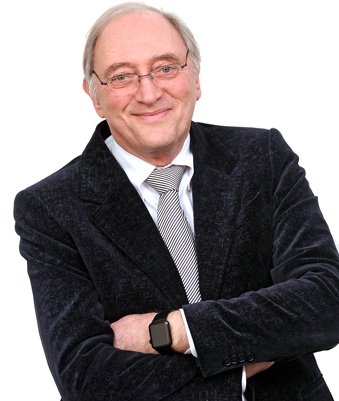 « We in the BioMed Alliance are delighted to have Michel Ballieu acting as our part-time Executive Director. He has brought to our organisation a vast experience of dealing with learned Academic European Societies. Thank you very much for taking the time to get back to me – much appreciated. I understand your decision, and I trust you will find the most suitable candidate for this position. I wish you good luck with the selection procedure, and all the best! Thank you very much for taking time to inform me and for your kind words. Thank you very much for your kind and explanatory response, much appreciate it. of « Congress coordinator ». Despite the negative answer, I would like also to thank you for the opportunity. It was truly a pleasure to speak to you today. I appreciated your sharing the details of the position along with very insightful questions. Thank you very much! I remain very interested and look forward to hearing from you next week. While I am disappointed to learn that my application didn’t go further, I appreciate that you let me know of your decision in a timely manner. Thank you very much for keeping me posted about this opportunity, even if it is not good news for my application. It was very nice talking and having the phone interview with you. Thank you very much for giving me the opportunity to demonstrate my suitability for the position as part of a face to face interview. Once again thank you very much and looking forward to talking to you again in the future. Many thanks for your email. It’s great news! And thank you for the interview, I enjoyed our conversation, and learned more about the organisation and the position, which was very useful. Thanks again for keeping me posted about the process. Thank you for the message and it was expected that at some point the position would move away from. However, I do appreciate the professional and meticulous way you conducted the Skype interview. Please note that this is not a courtesy note but giving you a well-deserved compliment. 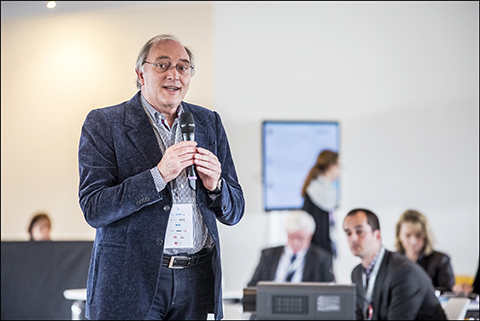 I knew Michel having met him a couple of times at some educational events and workshops, and I contacted him for the search of an event co-ordinator, a new position I needed to manage our multiple scientific courses and educational programs. To his question about deadline I replied it was quite urgent, we were in October he promised me to achieve the mission before Christmas, and indeed the talent he identified signed her contract on December 20. I thank him for his efficient support, for his excellent work, for the very qualified candidates he presented me. I very much appreciated Michel’s speech at a conference, it was about staff recruitment and retention, and he presented the Authentic Leadership model. Our association was then on the verge of a major restructuration, at both Board and staff levels, and I consulted Michel for advice about ways to manage this endeavor, he really inspired me, and suggested great ideas, which have proved their effectiveness in practice.